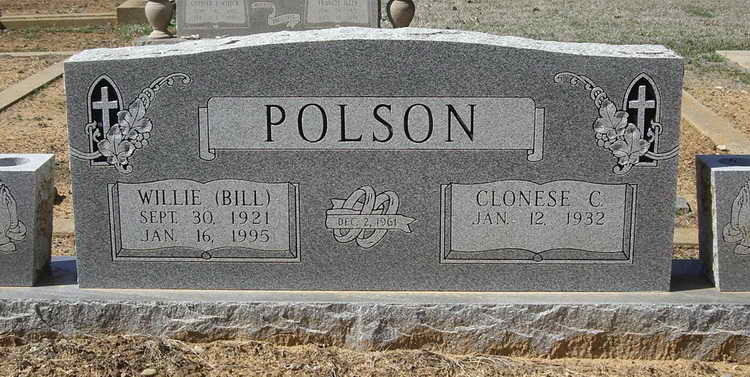 Grave markers for Willie Polson in the Covington Cemetery, Covington (Hill county), Texas. 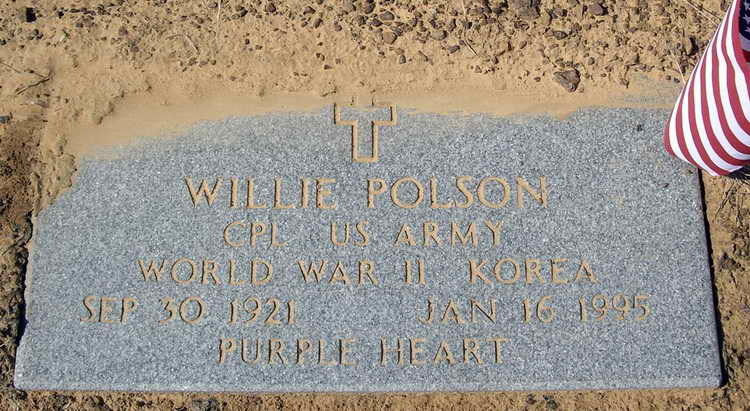 Willie enlisted in the Army at Dallas, TX on 16 July 1942. A parachutist volunteer he was posted to the 551st PIR but transferred to Company G, 508th PIR on 27 January 1945. His military awards include the Bronze Service Arrowhead device for the Southern France Campaign and Airborne Operations as well as the Comb at Infantryman Badge for action during thecampaign, 18 Dec 1944 to 20 Feb 1945.